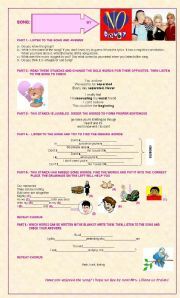 This worksheet deals with linkers. It only refers to contrast linkers. 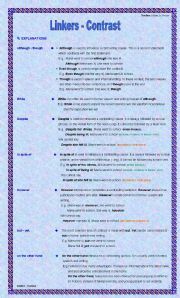 It´s very easily understood and it has a series of activities, such as choose the correct word, complete with the correct linker, and paraphrasing. 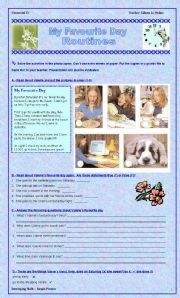 This worksheet is useful to practise simple present tense. It also includes and extensive practice of object pronouns. 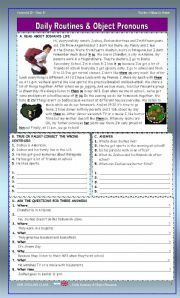 The activity is meant for students at an elementary level. 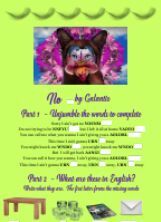 This is the third part of a series of worksheets dealing with linkers. It´s related to linkers of purpose and it includes an explanation about the topic and activities such as complete, paraphrasing, etc. 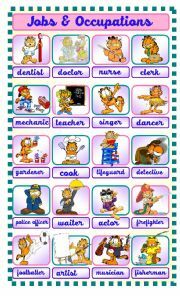 I hope it´ll be useful for you and your sts! A simple pictionary with updated vocabulary for jobs & occupations. 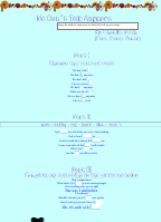 I hope you´ll find it useful! This is a useful worksheet to introduce USED TO. 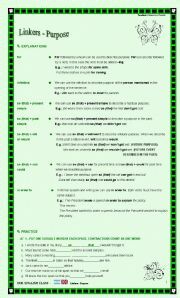 It includes a reading to present the topic and exercises to practise it. 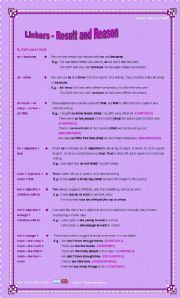 This worsheet will help you to practise present simple tense. 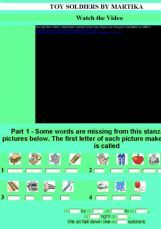 It contains a short reading comprehension and activities to practise it. This is a list of common abbreviations and acronyms that my students wanted to know. I hope it will be helpful for you too! 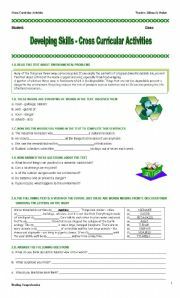 This worksheet will help you to practise reading comprehension by means of working with environmental problems. It also includes a section of guided writing. 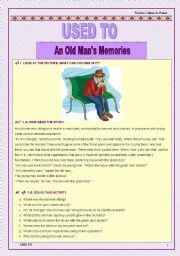 It´s an old song that will help you to work with daily vocabulary. It is also useful to debate in class about the lyrics of the song. 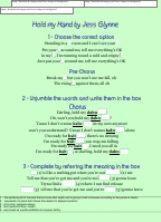 It includes the complete lyrics of it so you can get easily the key to complete the song. This is a PPP a prepared to help my students to produce their own one for the oral presentation about the book Dracula by Bram Stoker (Oxford Bookworms level 2). It´s only chapter one. I hope it will be useful for you, too! This is a PPP a prepared to help my students as a guide to produce their own presentation for the oral presentation about the book The Phantom of the Opera adapted by Jennifer Basset (Oxford Bookworms level 1). It´s only chapter one. I hope it will be useful for you, too! A lovely song to work with vocabulary. Hope you like it! 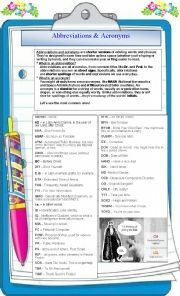 An easy way to revise vocabulary. 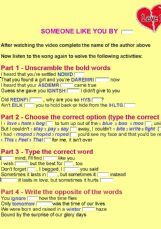 The song will catch the students to work with vocabulary. After listening to the song you can work with the topic of bullying. I hope it will be useful for you, too! A wonderful oldie a chose to work with some vocabulary with my students. I hope it will be useful for you, too!